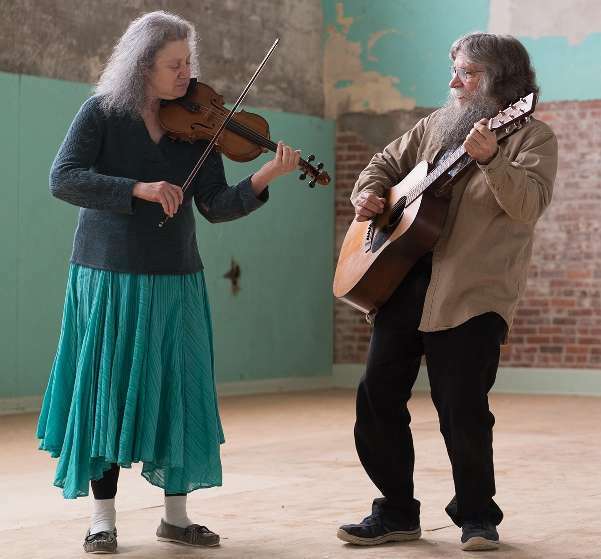 The musical duo of Debby Greenblatt and David Seay play and sing upbeat original and traditional folk music fine-tuned for your event and age group. 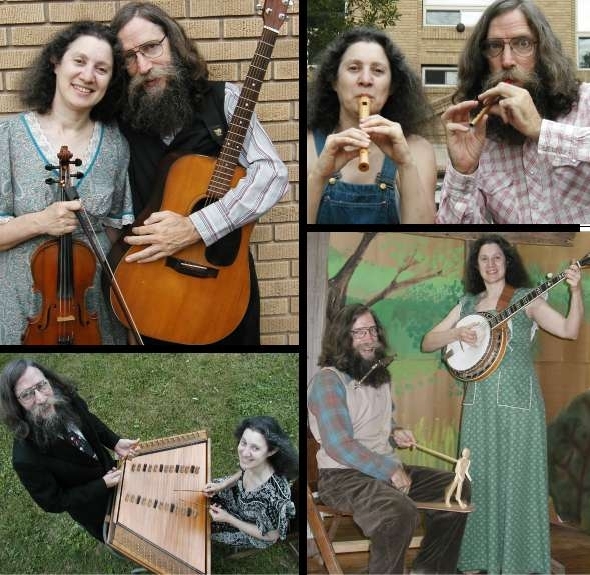 Over the past three and a half decades they have performed at thousands of concerts, festivals, state fairs, county fairs, weddings, receptions, reunions, schools, preschools, libraries, senior citizen centers, nursing homes, theaters, banquets, picnics, barbecues, and backyards. 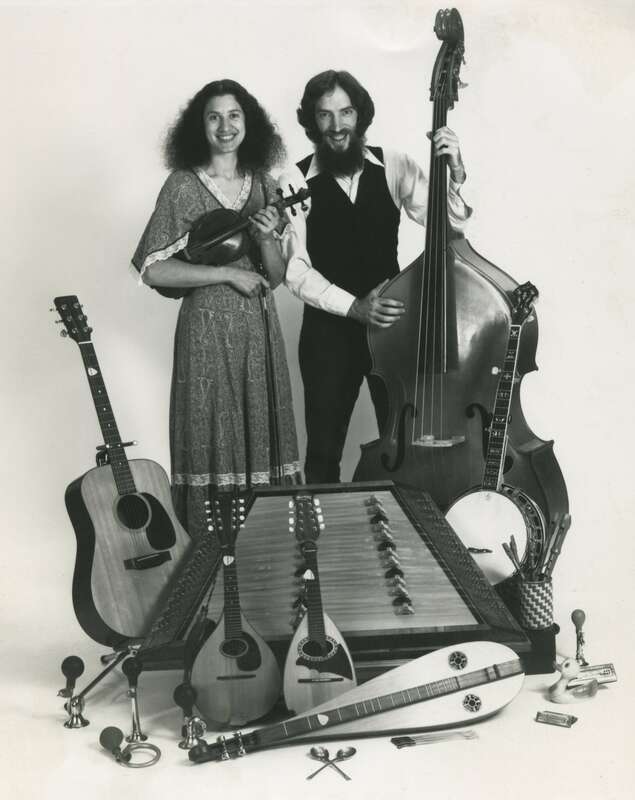 Greenblatt & Seay offer a variety of duo and solo performances and workshops. 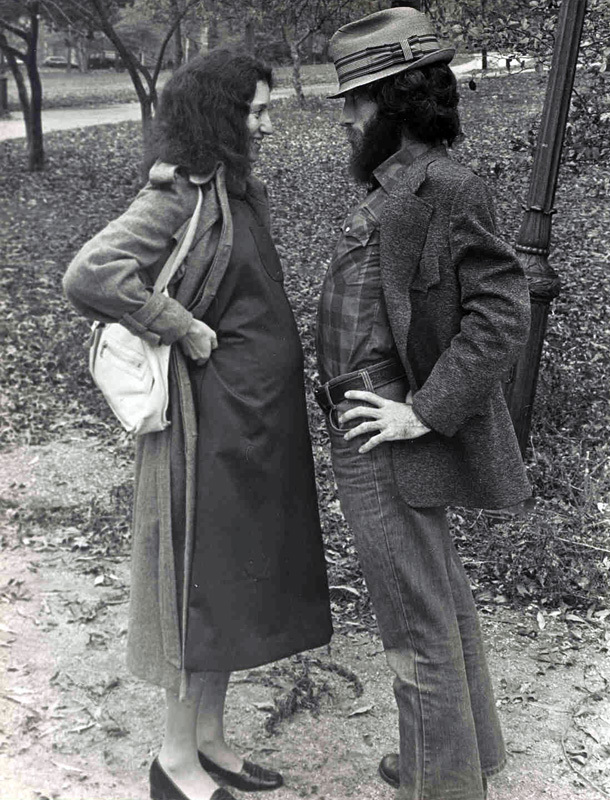 Their performances can include tunes from many different traditions, including Irish, Swedish, Danish, Jewish, and Scottish. Some of these offerings are eligible for partial funding through the Nebraska Arts Council’s Touring Program. Upbeat musical performances featuring vocal harmonies, fiddle, guitar, nyckelharpa, banjo, harmonica, recorder, pennywhistle, hammered dulcimer, Lakota style flutes, etc., are tailored for any age. Great for schools, festivals, after dinner shows, senior citizen groups, or anywhere there is a family audience. Lively instrumental music perfect for banquets, barbecues, picnics, parties, art fairs, festivals, etc. 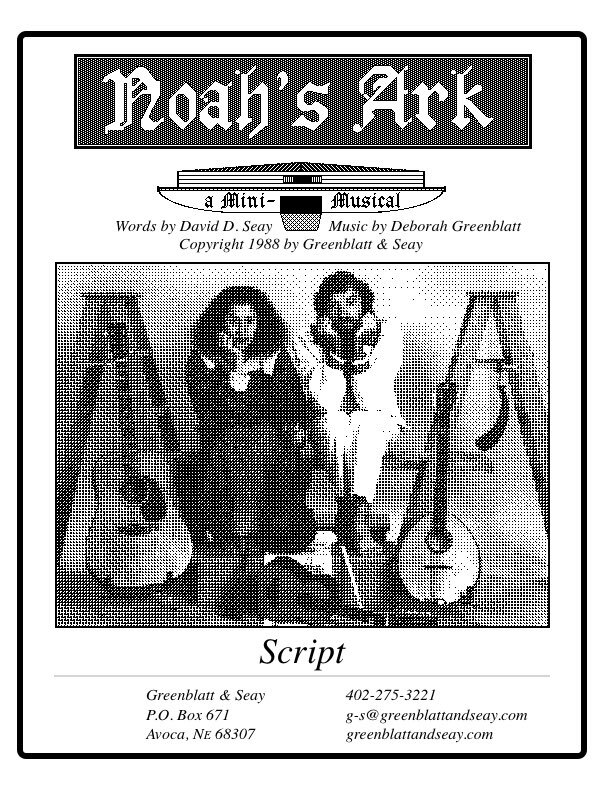 Featured instruments can include fiddle, nyckelharpa, hammered dulcimer, harmonica, recorders, pennywhistles, and guitar. Debby is a past co-concert master for the Hastings Symphony Orchestra and was the first woman to win the Mid-America Fiddle Contest so she’s just as comfortable playing classical violin as she is playing old-time fiddle tunes. Music from many cultures, such as Irish, Jewish, Swedish, can be featured during the ceremony and to help set the mood at the reception. Click here for more information about live music for weddings. Whether working with classes of kids in schools or at summer camps, or with family audiences at a banquet, festival, or picnic Greenblatt & Seay can get folks involved in the fun. Learn a simple folk tune on the harmonica in less than 5 minutes. Create an original group song. Dance a Virginia Reel with no previous experience necessary. Click here for more information about workshops. • Outside events must have performance area shaded from sun and rain. • Performance area must be at least 60° F.
• All shows can be performed without a sound system. • Greenblatt & Seay do not provide a sound system. • Four microphones are required if sound system is provided by sponsor.